Whew, the day with the kidlets, or mini-Amigos, as I like to call them, was a success. 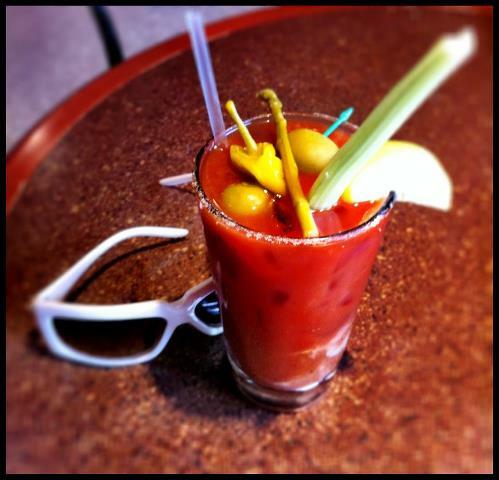 No crowds, no skiing, only tubing, topped off by a deee-liscious Wasabi Mary in the lodge! Combine lime juice and wasabi with a whisk, until wasabi dissolves. Pour into a pitcher, and add veggie juice, worcestershire sauce, pepper sauce and salt. Chill. Stir in vodka and serve over ice, with a stalk of celery or pickled asparagus. Serves 8. Made in Bend, Oregon by Bendistillery. Get some and enjoy. Their Gin, made with local Juniper berries is really delicious as well, but we will save that for the summer. This entry was posted on Monday, March 26th, 2012 at 7:07 pm	and tagged with Bendistillery, bloody mary, cocktails, gin, vodka, wasabi mary and posted in Food & Drink. You can follow any responses to this entry through the RSS 2.0 feed. « Monday is Ski Day!